A stunning 1795mm long double ended roll top bath with traditional chrome feet, this roll top bath will add an air of traditional luxury to any new bathroom. The bath is mounted upon traditional chrome feet to complete a breathtaking appearance. Made with double skinned acrylic with a superb surface finish. 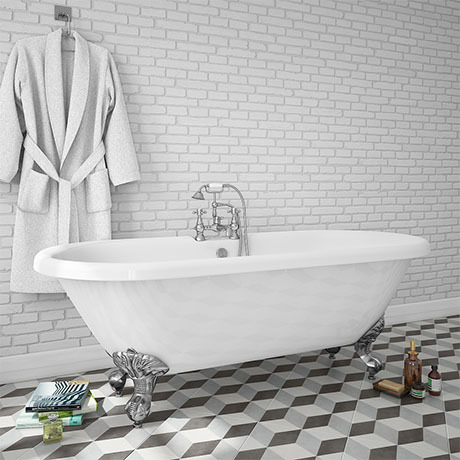 The Duke bath is the perfect centrepiece for a traditional bathroom. Fantastic size and very sterdy!